There was this item in the news earlier this week that, if only there was no death involved, I would have found almost comical. Text messages started circulating among village folks in San Juan, Batangas and Candelaria, Quezon Province about the supposed impending arrival of a tsunami. The messages sent the folks into a state of frenzy, enough at any rate to send most scampering away into safety. There were those who were level-headed enough to ask one village councillor if there was any truth to the tsunami warning. The councillor asked somebody in city hall; who, in turn, replied that there had been no official warning. The village folks scampered away, nonetheless. Regrettably, one family packed everyone, including 64-year old grandmother Julieta Pañoso, onto a tricycle to make its escape. As the family drove away, the tricycle must have hit a rock or a hump on the road, causing Lola Julieta – who must have been seated behind the driver – to fall off and thump her head hard on the road. That was how she died. You simply wait for the shot that will have a live bullet in it. Just this morning, a magnitude 5.3 earthquake hit Southern Leyte. If you are unlucky, sometimes you get shot more than once. There had not been an earthquake in the vicinity, so a tsunami warning was always going to be false. There was also a state of frenzy in San Juan, Batangas; but at least, the municipality is by the sea. The Banda Aceh of 2004 tsunami drove inland as far as 6 kilometres in the city of Banda Aceh itself and 3 kilometres in Thailand, where there was also significant damage. I was reasonably certain that Candelaria was far enough from Tayabas Bay, but I measured the distance using Google Earth’s Ruler Tool, anyway. The tool says that from the shore of Tayabas Bay to Candelaria as the crow flies is 11.44 kilometres; and probably safe even if there was, indeed, a tsunami. Those who tried to trace how the hoax might have started interviewed village folks along the shore in San Juan, Batangas. These folks theorised that somebody must have been spooked by how far the sea had receded from the shore. A friend and former colleague says often enough the little knowledge is dangerous; and this appears to have been the case in San Juan. 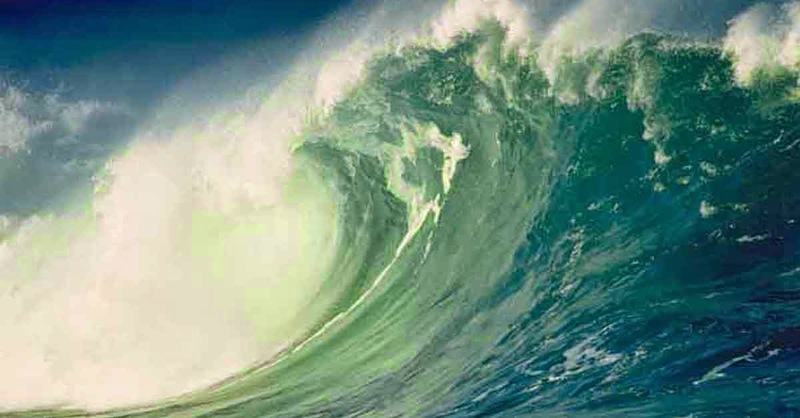 True, the quick retreat of the sea can spell the impending arrival of a tsunami. But in San Juan at the time, it was just really low tide. Like I said, it is almost comical. It could not have been comical to the common folks who were driven into a state of panic by the farcical text messages, however. Glenda was a traumatising experience; and even a week after it passed, people who had to endure its passing were still understandably jittery. The daily news reports have only been too vivid in documenting how people’s lives have been altered in a few short hours. Those who had their roofs blown away turned out to be the lucky ones as, indeed, there were those who had entire houses destroyed by the typhoon. Because large expanses of Quezon and Batangas are still basically rural in nature, there were many who had their livelihoods blown away and stare into nothingness contemplating where food for the table will have to come from. The last thing everyone needs is scaremongering by the unscrupulous. The PNP was quick to warn that such text messages might have been sent by thieves who wanted to take advantage of people leaving their homes unattended. The other day, on Facebook, I saw somebody post a warning that Taal Volcano’s status had been elevated to Alert Level 3. I quickly checked the PHIVOLCS web site and saw that the volcano alert was just at Level 1. I do not mind admitting that I was momentarily concerned because I live close enough to the volcano. How fortunate, therefore, that I had both power and my Internet connection restored already. I understand from the news, however, that power has not been restored to large stretches of Quezon Province simply because of the extent of damage to power lines left behind by Glenda. A group of gentlemen in Quezon interviewed by a news crew admitted that they were not even aware that Typhoon Henry passed so close by and could easily have slammed them again the way Glenda did. They had no power and were, therefore, unaware; but they were also vulnerable. They were reliant on whatever news came through courtesy of people passing by. On the one hand, being insulated from the outside world was probably a blessing insofar as they were spared from having to worry about Typhoon Henry. On the other hand, they were tired, desperate and jittery enough to have believed a rumour similar to that which circulated in San Juan and Candelaria. Like I have written before, living in this country has become something akin to a game of Russian roulette.